1. Have downloaded the SPI and Firmware files from the official website,how to update them? Upgrade app, select Local update. Find SPI to update first,then Firmware. 2. No update files found in Upgrade app->local update option? press menu button on remote control for 8 times continued, it will search all files again. 3. If meet below problems, please try to do factory reset. b. 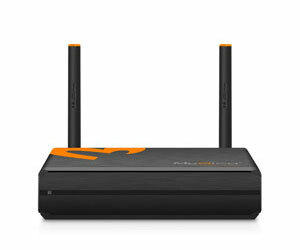 Function of the system suddenly doesn’t work,such as Wi-Fi can not be connected. factory reset in Settings->Backup & reset,but note that this will de1ete all your personal data and apps. 4. 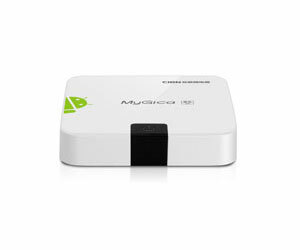 Enjoy TV Box/Dongle can’t start normally. a. Use needles to press and hold the upgrade button at the back/bottom of Enjoy TV Box/Dongle. select Yes to wipe. wipe media partition,cache partition are necessary sometimes. e. Choose Reboot the system now option, and the system will restart automatically. 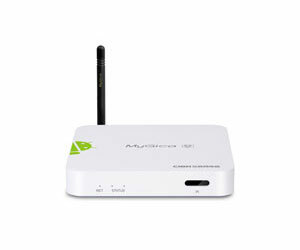 connect Enjoy TV Box to your old TV,make sure TV source is CVBS, you will get the android screen on TV. 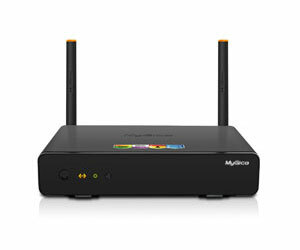 image.If no any screen, have to do like above a to select YUV mode in Enjoy TV Box setting, then, try again. HDMI cable plugged) cable is connected, then, power on the box and you will get the image on TV screen. 6. Remote control doesn’t work. a) Press ESC and G key on the keyboard together, LED keeps shining, after 5 seconds, LED will be off and on again. b) Press Y and ” key on the keyboard together, LED keeps shining, after 5 seconds,LED will be off and enter into checking codes status. 7. About standby,wakeup and power off. a: Press the power button on infrared remote control, the box/dongle will enter into standby mode, press power button again, will wakeup. have to press the power button on box, because there is no power supply for external remote control in standby mode. c: Press the power button for one time on hardware to get standby and wakeup. function), re-plug the power adapter, the box will start up. 8. Bluetooth option can not be turned on. a. 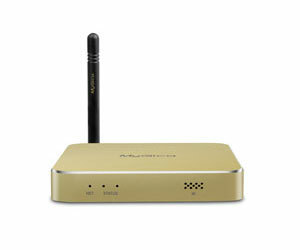 If your box/dongle is using dual band Wi-Fi module which supports Bluetooth, the option can be turned on. 9. Can not type “&” “%” via my 2.4G remote control/keyboard. Try to change the default input method to Engliah(US) in Settings->Language&input->default. 10. 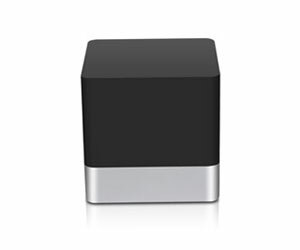 How to use Airplay function? enable Airplayer and automatically Start option(if your box/dongle is Android 4.0/4.1 system,the AirPlayer is enabled by default). Then, run the online/local media application on iphone/ipad, select the file and find the box/dongle device, click to push. 11. 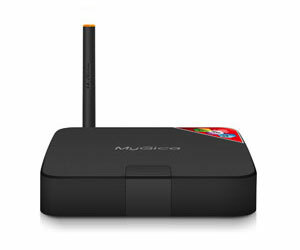 How to use my Android phone to control the TVbox? also can install the 3rd party such kind of app in market. 12. How to use Skype video call? 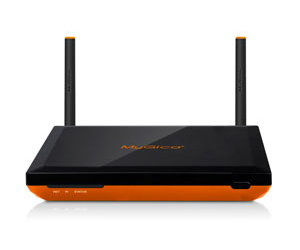 Connect one external USB camera/webcam to the Enjoy TV Box/Dongle, run Skype and enable video call in Skype setting, then, starting video call. 13. 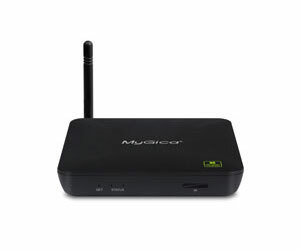 How to use Miracast function(only for Geniatech Android 4.2 and 4.4 system )? other, click and accept the connection,then, you will see the whole screen of the phone mirrored to the TV screen. 14. 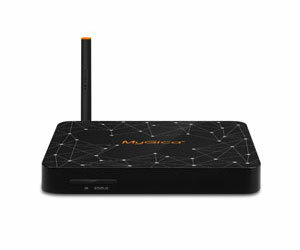 How to use XBMC to watch movies? a.l ocal videos: connect your external devices to the box/dongle,run XBMC app,select Videos -> Files -> Add videos -> Browse -> Root filesystem -> mnt(press down button on remote control to find “mnt”) -> choose your external devices,maybe sda1/sdb1 ect and click OK to save the setting, the files folder will be added into Files options in XBMC. b. Online video:You can download and install add-ons in Videos->Add-ons->Get More,or search for add-ons zip files in XBMC forums,or install the zip file in System->Settings->Add-ons->Install from zip file(from external storage). 15. Why no enough flash memory in setting->storage. We divided the flash memory into several partitions, one for system, one for cache, one for data and so on(different system has different partitions), so, the storage size in setting->storage is only one part of the whole flash. If above is helpless for your problem, please send email to support team.